Having a piece of equipment in an office that is modular and durable can drastically increase production and improve the work environment by eliminating the number of machines and wires. 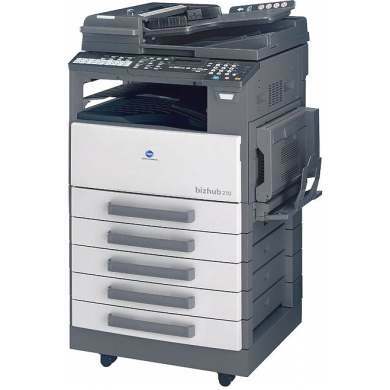 The Konica-Minolta bizhub 163 is a combination of a printer, copier, and scanner. It weighs about 85 pounds, but the base model measures only 23.5x24.5x20.5 inches. Of course both of these things will increase if users opt to upgrade the 163, but will still be considered compact. When a device like this is coined as modular, it means the base unit provides certain functions and features, but users have the opportunity to add more as needed. For instance, the only connection option is a USB 2.0, but networking can be added so multiple users can share the 163. 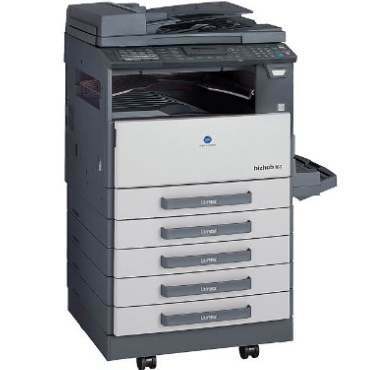 There is only a single input tray that holds 250 sheets and a single-sheet bypass tray on the base model, but this can be expanded by adding up to 4 separately sold 250-sheet trays and. The memory is built in at 32 MB, but additional memory is supported up to 160 MB. 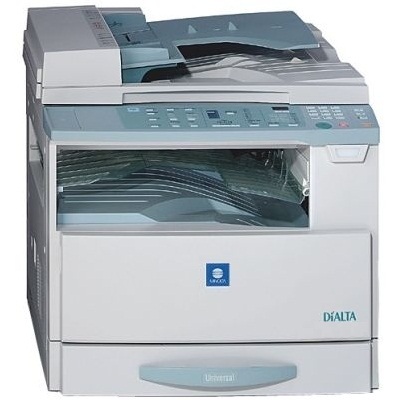 Users even have the option of adding a fax function to this unit. 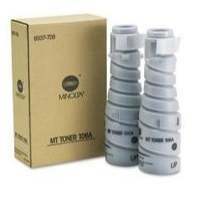 Just one Konica-Minolta 163 toner cartridge is used during operation and it can yield up to 22,000 pages before running out. 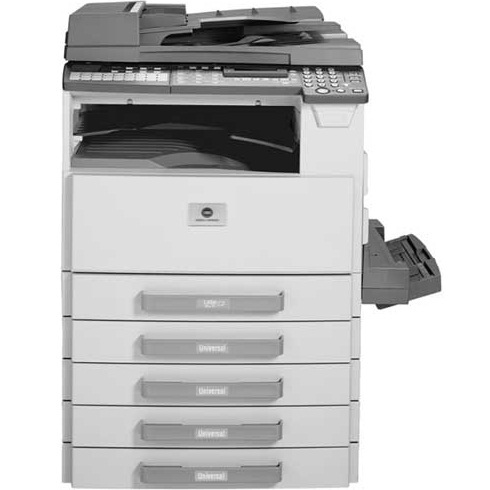 High-yield toners help to reduce the everyday cost per printed page. Another cost-saving option is to purchase bizhub 163 toner cartridges in bulk from certified resellers, which should slightly reduce the cost per consumable. 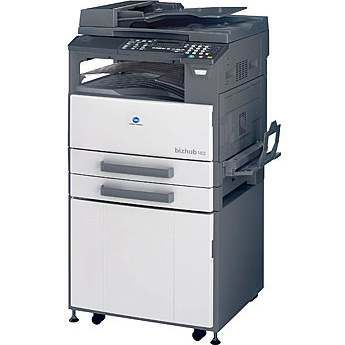 Using the Energy Save mode when printing will also conserve operational spending by minimizing the amount of Konica-Minolta 16 toner used per inch of paper. Up to 20 images per minute can be scanned and 16 pages per minute can be printed or copied. The machine warms up in less than 30 seconds and the first page of an order will begin printing within 7-11 seconds. Users can use the control panel to adjust the size of images being duplicated. 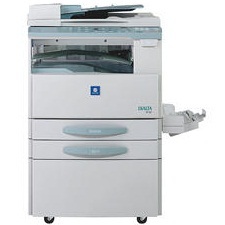 The LCD screen located within the control panel allows users to navigate through the various settings, as well as monitor the remaining level of bizhub 163 toner. 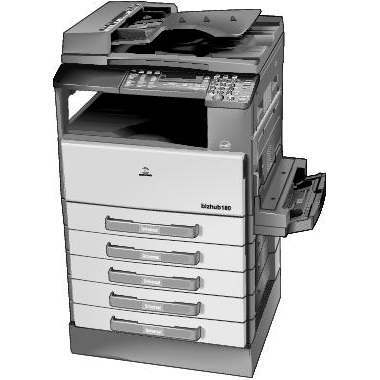 Though the maximum speed (16 pages per minute) and resolution (600x600 dpi) are lower than many more current desktop office printers, this machine still provides reliable and versatile service. 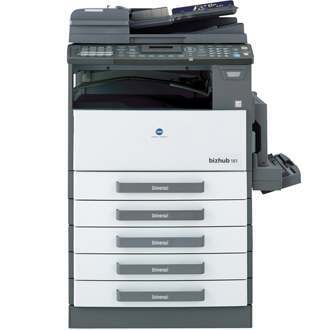 With this unit, users can minimize overall spending by printing in the Energy Save mode and purchasing Konica-Minolta 163 in bulk, and the office will be less cluttered and ultimately more productive.